In 1931, Kake Da Hotel started changing the way Delhi consumed food. 87 years later, it’s come to do the same to Mumbai. Those of you who have had food at Kake Da Hotel in Delhi, get ready to jump with joy. The legendary eatery has chosen Oshiwara as its first location in Mumbai. You should totally try their Butter Chicken, Dal Makhani, Tandoori Chicken, Bhatti Ka Murgh, Naan and Rara Mutton to have the true blue Delhi experience. The best part? You can easily wrap up a meal for two here under INR 700. What started as a small dhaba has now spread to more than 50 locations. Kake Da Hotel has always been a family favourite and you will often find Delhiwallas gushing about it. It’s perfect for the whole family or clan to head out on a Friday and chit chat over good food. Delhi, we feel no FOMO anymore. 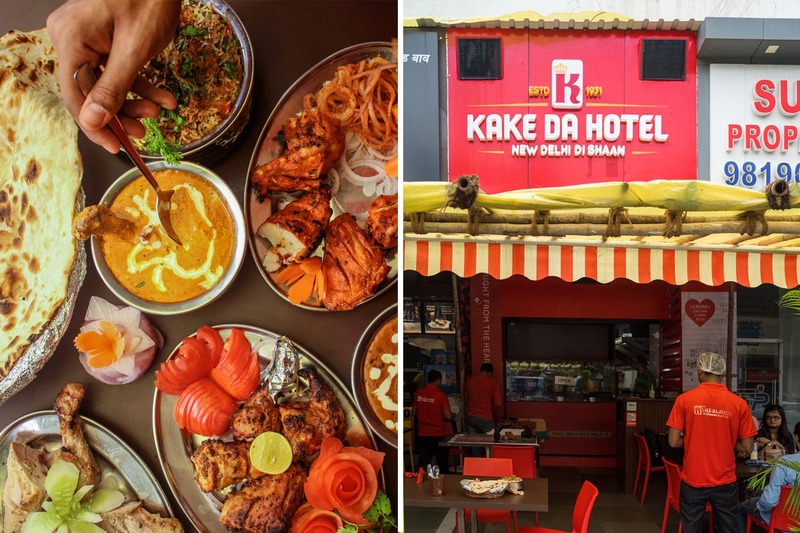 Now that Kake Da Hotel is here to save us from Mumbai’s ‘sweet’ butter chicken, we can heave a sigh of relief.